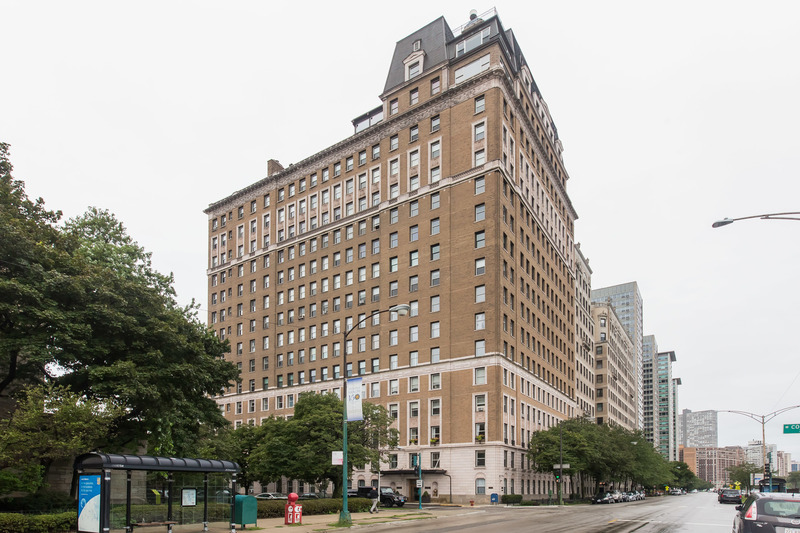 Stunning 2700 sq ft 4 bedroom in premier B tier in the prestigious Robert DeGolyer 1926 vintage building. Amazing South, Lake and Belmont Harbor views! Truly a stately grand residence featuring high ceilings, gas fireplace, palatial rooms, wood floors and abundant light. Master bedroom suite features a walk-in closet and master bathroom with marble vanity. 2 oversized bedrooms connect with a Jack-and-Jill bathroom. Stylishly entertain in an enormous dining room with arched doorway. Kitchen includes a subzero refrigerator, corian counters and a butler's pantry. The original maids room and additional bath are off the kitchen- easy adjacent space to expand the kitchen. Abundant closets throughout plus 2 private storage rooms. Very hard to rival the combination of vintage and modern amenities in such an Elegant home! Central air and laundry in unit. 24 hr doorman, fabulous roof deck w/BBQs and party room and Playroom. Draperies and hanging light fixtures are excluded. Property information last modified by seller on Thursday, March 21, 2019, 03:00 PM CDT. Information Deemed Reliable But Not Guaranteed. Unauthorized duplication, use, or linkage is prohibited. The information on this web site is for personal, non-commercial use and may not be used for any purpose other than to identify prospective properties consumers may be interested in purchasing. Monthly Payment Calculator results are for illustrative purposes only, not a financing opportunity; calculations assume a 30-year fixed-rate mortgage and do not include closing and other costs. Property Tax on NEW properties is estimated at 1.5% of Listing Price for payment calculation purposes; actual value may be higher or lower.